I Am a Woman, Selected Lectures from the Women’s Teachings of Yogi Bhajan, is an extraordinary reference source and a must have for every woman seeking enlightenment. 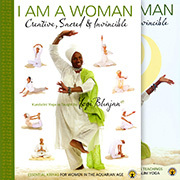 A companion volume to I Am a Woman, Essential Kriyas for Women in the Aquarian Age, this book fills in the gaps. Where the first book focuses on the practice of Kundalini Yoga, this one is more about the “why”. 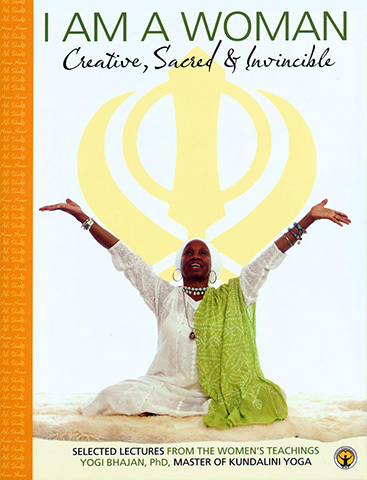 Yogi Bhajan gave many lectures at the Khalsa Women’s Camps held in Espanola, NM, and much of this material has been included. It enables you, the reader, to focus on a specific aspect of your womanhood. It can also be read cover to cover or simply opened at random to receive new insights each time you pick it up.